3M's new Air & Vapor Barrier 3015, has a whole new range of benefits when compared to more traditional building envelope barriers. - It is made out of translucent material which is easier to see the studs and structure behind the vapor barrier, taking the guess work out of where to fasten sheet foam, OSB, plywood, gypsum or exterior sheathing for the best hold and fewer holes. - Lighter weight. Approximately one-third of the weight of competitive products, 3M Air and Vapor Barrier's lighter weight helps reduces worker strain during installation. Longer sections of material can be installed so productivity is increased. 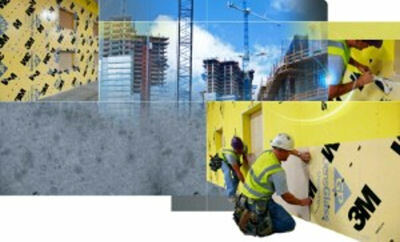 - 3M™ Air Barrier and Vapor Barrier meets the criteria to contribute to LEED (Leadership in Energy and Environmental Design) credits. - Ease of Installation. 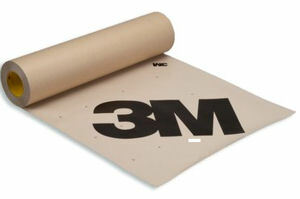 3M™ Air and Vapor Barrier 3015 can be applied horizontally or vertically with 2 inch overlapping seams. 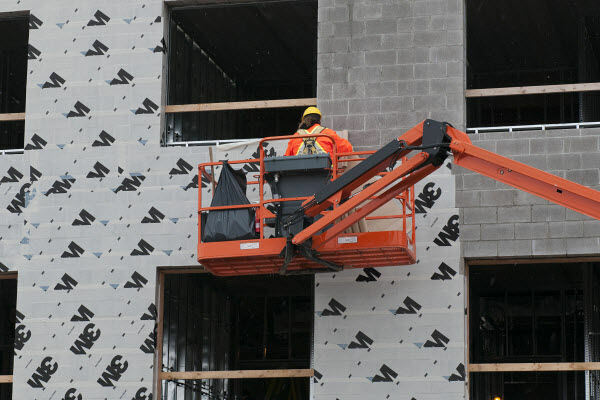 Independent studies have demonstrated that an airtight, building envelope system—when properly installed by 3M certified contractors—can decrease building air leaks. Heating and cooling loads can be reduced, allowing for smaller HVAC equipment. Energy operating costs can decrease by as much as 40%. The risk of mold and mildew can also decrease. Indoor air quality can improve and life cycle costs can be reduced.